A lovely pot of flowers sitting on a wooden shelf on the garden wall with climbing vines in the background. 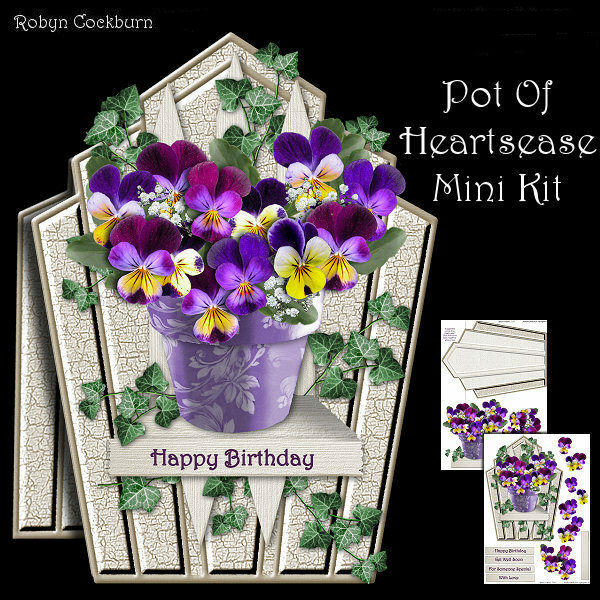 Kit contains two sheet - card front and greeting labels, card back/insert and decoupage. Card is approx. 6" x 8" when finished.